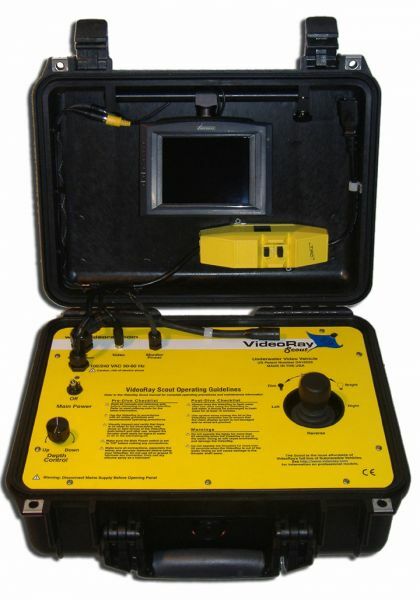 The VideoRay Scout ROV systems have been configured for entry level ROV users who require very basic underwater camera functionality on a limited budget. 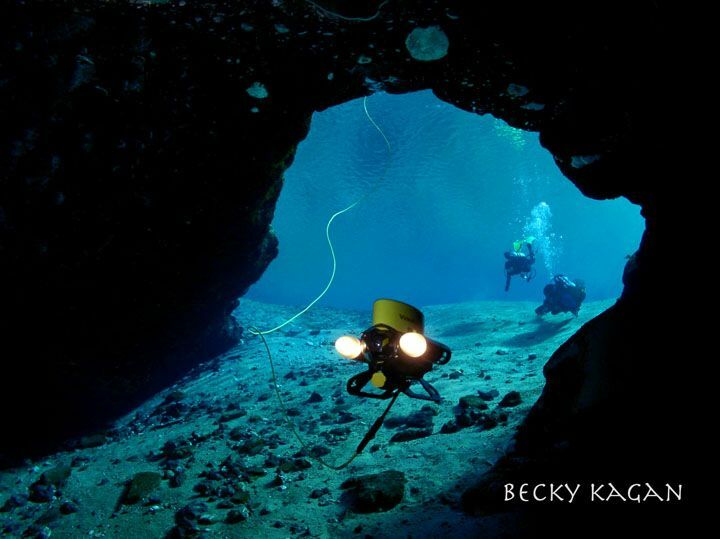 With lower resolution fixed cameras, limited depth ratings up to 76 m (250 ft), smaller integrated LCD monitors, halogen as opposed to LED lighting found on Professional VideoRay ROVs, and smaller thrusters, the Scout systems can only perform very well in non-demanding underwater environments. Scout ROV systems lack a vertical tilt camera that can be found on the Explorer systems and above, and lack the ability to attach any of the accessories compatible with the Pro 3 and Pro 4 systems. 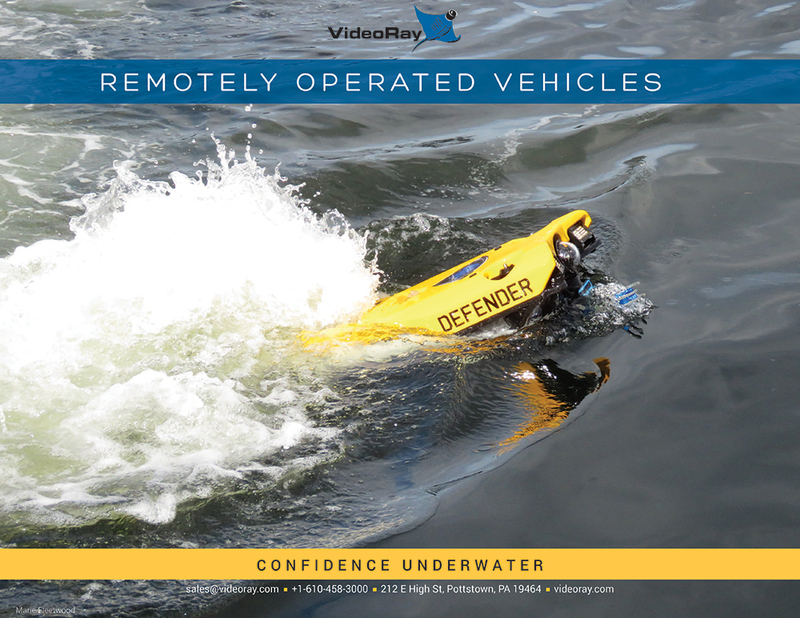 VideoRay Scout ROV systems are typically reserved for recreational and leisure type applications such as shallow diving off of leisure vessels and quick personal vessel safety sweeps in very calm waters. 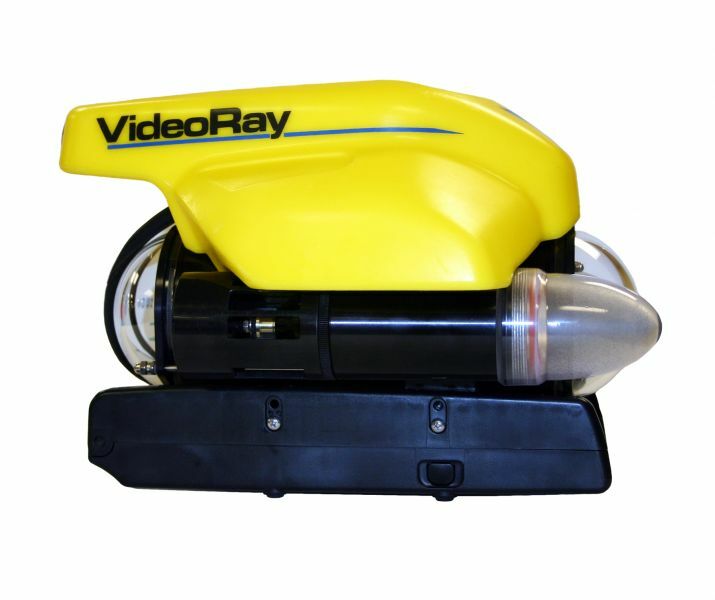 The VideoRay Scout ROV accompanies recreational SCUBA divers in pristine underwater conditions. Photo Courtesy: Becky Kagen. A cool underwater image of the VideoRay Scout ROV. Photo Courtesy: Becky Kagen. 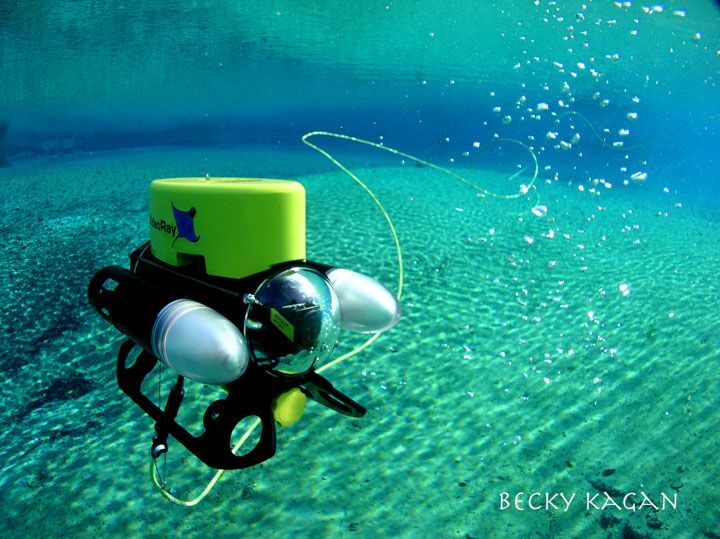 The Scout submersible weighs only 3.6 kgs (8 lbs) and has a depth rating of 76 m (250 ft). The Scout ROV Control Panel has a small 7 inch LCD display and knobs controlling horizontal and vertical motion of the sub as well as the halogen lighting.